Seven people have died over the past three months while lining up to use the toilet. 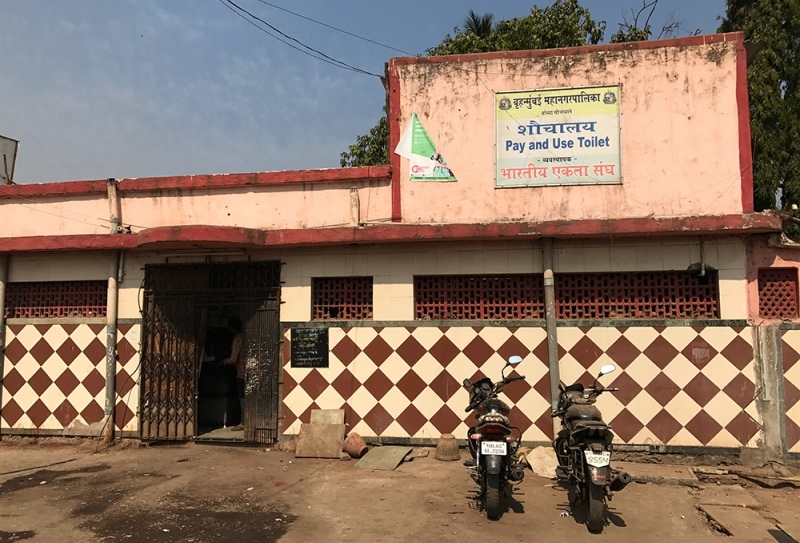 On the morning of February 4, Harish Tikedar, 40, Ganesh Soni, 40, and Mohammed Isafil Ansari, 30, waited in a queue, with Rs 3 each in hand, to use the community toilet in the Indira Nagar slum in Mankhurd, a suburb in eastern Mumbai. A few minutes before 8 am, all of a sudden, the floor of the toilet collapsed, plunging Tikedar, Soni and Ansari into the septic tank 15-feet below. That day, the three men became statistics in the Brihanmumbai Municipal Corporation’s death registry. Two others who also fell – Sirajjudin Turat, 25, and Ramakant Kanojia, 35, – managed to hold on to the sides of the floor till they were rescued. The five men were taken to a hospital nearby in private vehicles. The Fire Brigade reached 20 minutes later. Those who were pulled out were unrecognisable. They were covered in faeces. Kanojia too held on to a portion of the crumbling floor, fervently praying that it would not also give way. In Mumbai’s slums, the simple act of relieving oneself is fraught with danger. 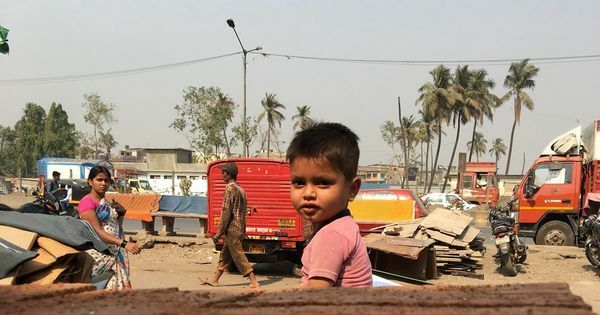 This danger is multiplied several times in the slums of M-East ward – Bainganwadi, Shivaji Nagar, Govandi, Cheetah Camp, Rafiq Nagar, Vashi Naka, Mandala and Mankhurd – where the population density is extremely high, and the few public amenities are crumbling. M-East is one of Mumbai’s 24 administrative wards. It is the poorest and most deficient in civic services. The slums in this ward among the most wretched in Mumbai. With the M-East ward having 15 seats in the 227-seat municipal corporation – the largest number for any ward – the toilet tragedy is being milked for votes by all parties in the run up to the Brihanmumbai Municipal Corporation elections on February 21. M-East has expanded over the last 15 years but has remained on the periphery of the city’s consciousness as well as its governance systems. The difference between the civic amenities available in the smattering of middle-class apartment blocks in Chembur and Trombay, which form about 22% of the ward, and the slums, which dominate M-East, are stark. Most of the 100 sq ft houses that dot the slums in M-East do not have sanitation and water facilities. This is either because applications for individual toilets and taps are pending approval with the municipal corporation, or because the slum is on encroached land, which means that the civic body will not provide any services there. But the vacuum must be filled. While non-governmental organisations step in to construct community toilets, local MLAs and MPs also contribute money from their area development funds to build toilet blocks in these slums. As for water, there is a thriving informal market in which water is sold in cans, with one can containing approximately 40 litres. While a small percentage of houses in the slums have taps that supply them with municipal water, and residents who have such taps sell water to others, there is also a lucrative grey market for water that is operated by a network of local strongmen who also control land and tenements in these slums. This network supplies water to slum residents for a price through water tankers, as well as via the unfinished water pipe system laid by the civic body in some parts of the slums. 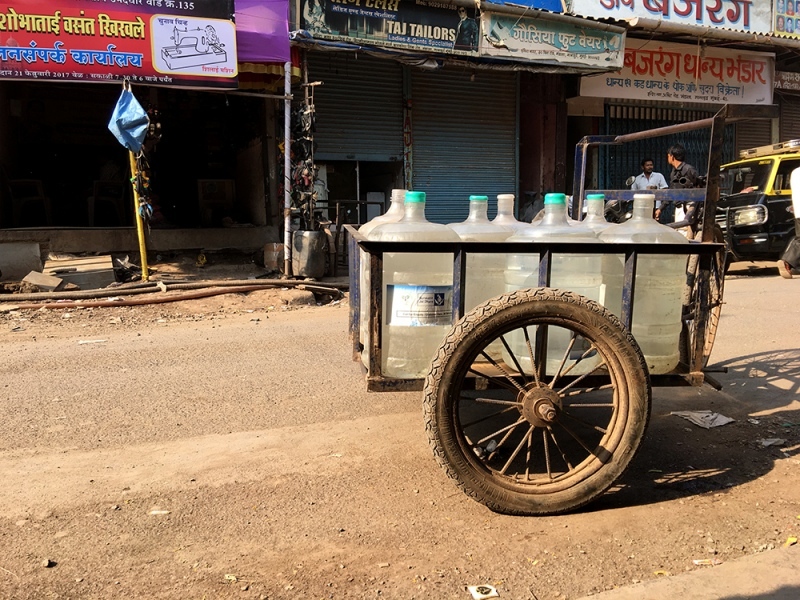 Thus the vast majority of slum residents – not less than five lakhs, say activists – are forced to depend on the thriving informal market for water. The cost of water depends on demand and supply. A can of water can cost a slum resident anywhere upto Rs 20. Some days it goes up to Rs 40. On days when demand is low and supply from the main pipes in the area is high, it can drop to Rs 5 a can. 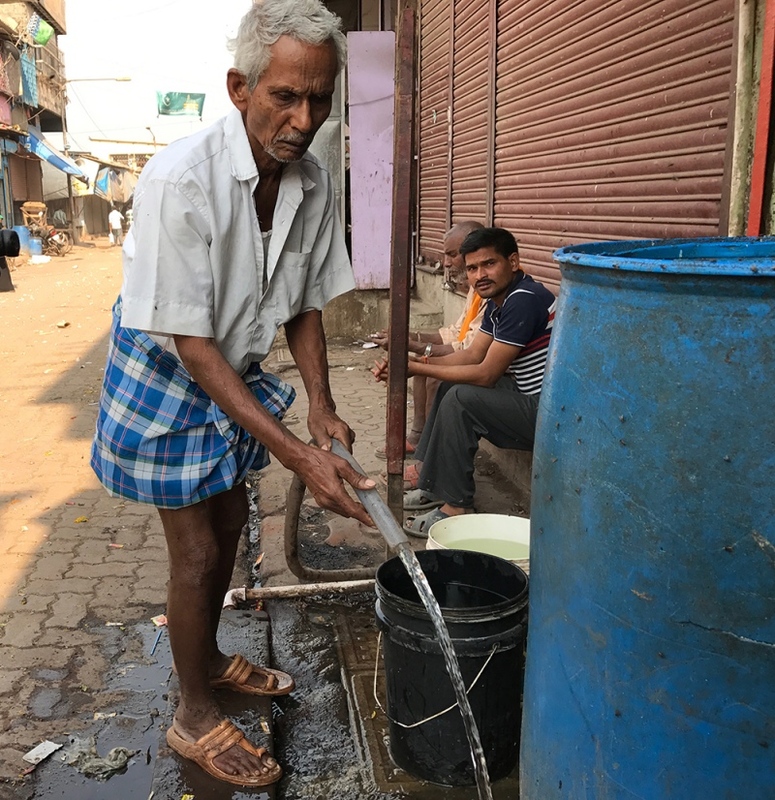 When the municipal corporation imposes water cuts in Mumbai in the summer, the cost of water here rises considerably. Between toilets and taps, the men and women who live in the slums have several complaints. “We sometimes spend half a day just waiting to use the toilet or waiting for the private tanker or water seller to come to the basti,” said Zubeida Bano, 52, a tailor. 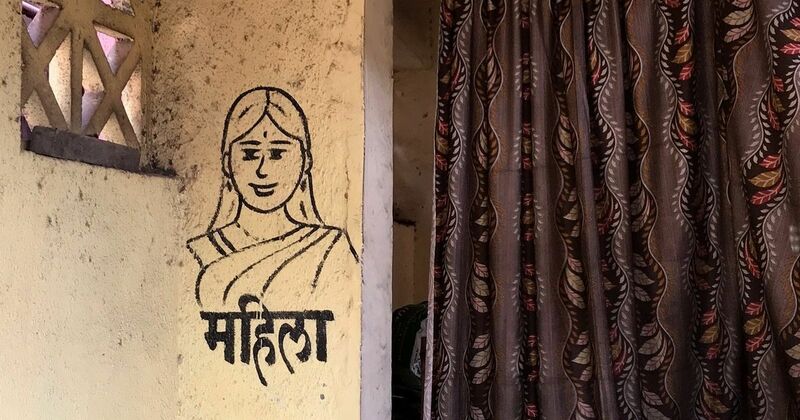 According to independent sanitation surveys, 78% of community toilets in Mumbai’s slums lack water supply, 58% have no electricity, many are without proper doors and facilities for women to dispose of sanitary napkins. As always, the statistics are worse in M-East. The community toilet that collapsed was only 10 years old. It was built in 2007 out of the local MLA’s area development fund. 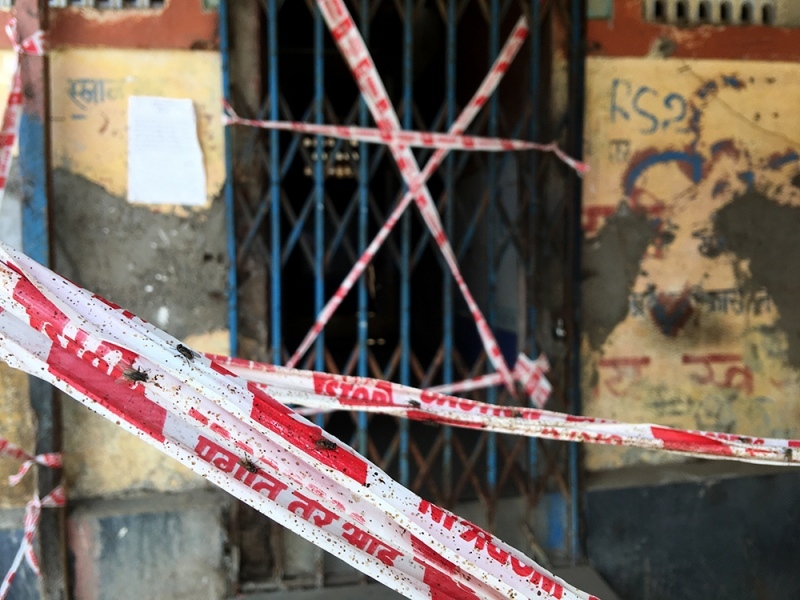 The contractor, identified by the local police as Rajdev Ramnaresh Bharti, 52, was arrested and booked under the Indian Penal Code on charges including culpable homicide not amounting to murder. However, he was eventually set free. The February 4 accident was not an isolated one. Across Mumbai, seven people have died and one disabled in this manner in the last three months. The crowd was unusually high at that particular toilet block in Indira Nagar that morning because another one nearby was shut down after local residents had complained about its highly-dilapidated condition. Each block catered to between 4,000 and 6,000 people, according to local estimates. Community toilets follow a pay-per-use scheme in which each user pays either Rs 2 or Rs 3 to use the facility. This seems like a small amount but not if the volume of users is taken into consideration. A simple calculation shows that the Indira Nagar contractor, who operates three toilet blocks in this part of the slum, must have made not less than Rs 4 lakh a month. However, residents say that he did not spend any money on maintenance or repairs despite complaints. The contractor was not available for comment. The benchmark for toilets adopted as part of the Swachh Bharat mission is one seat for 25 women or 30 men. In Mumbai’s slums, this is hardly met. In the slums of M-East, the average soars to one toilet seat per 190 people, according to surveys undertaken by the Tata Institute of Social Sciences as part of its Transforming M-East Ward project that was started in 2011 to document and facilitate development in the area. The institute’s campus is located in this civic ward. The municipal corporation has its reasons for not enabling the large swathe of M-East slum residents to install taps and construct toilets in their houses – most slums came up after 2005, which makes them illegal. 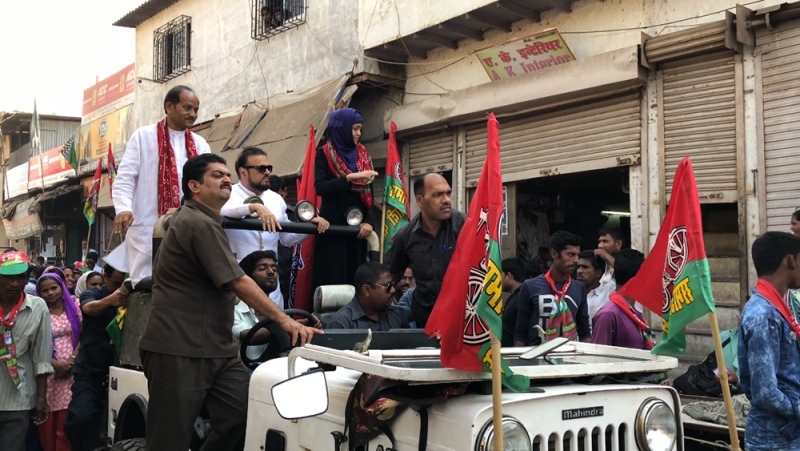 But given that the ward has expanded with new residents – both legal and illegal migrants as well as those displaced from other parts of Mumbai – the demand for basic civic services has only increased. 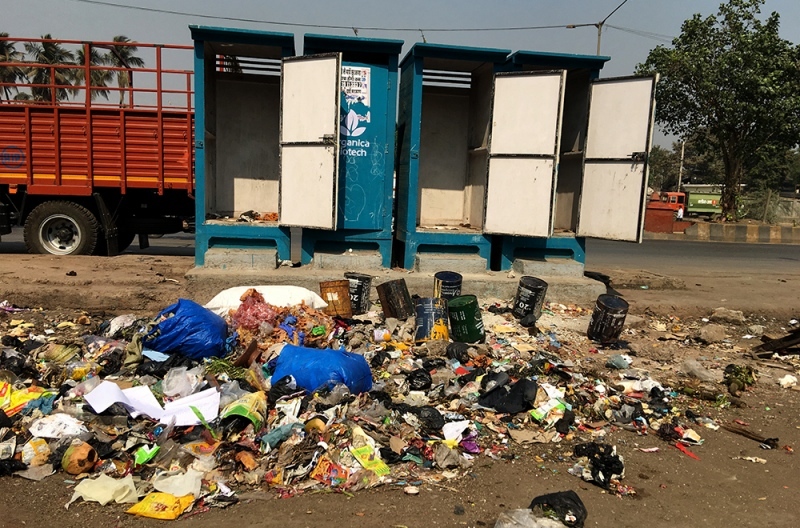 The World Bank-funded Slum Sanitation Project of the municipal corporation is picking up pace in Mumbai but it could be years before it begins to actually make a difference. Thus, where the municipal corporation cannot or will not take charge, other forces move in. 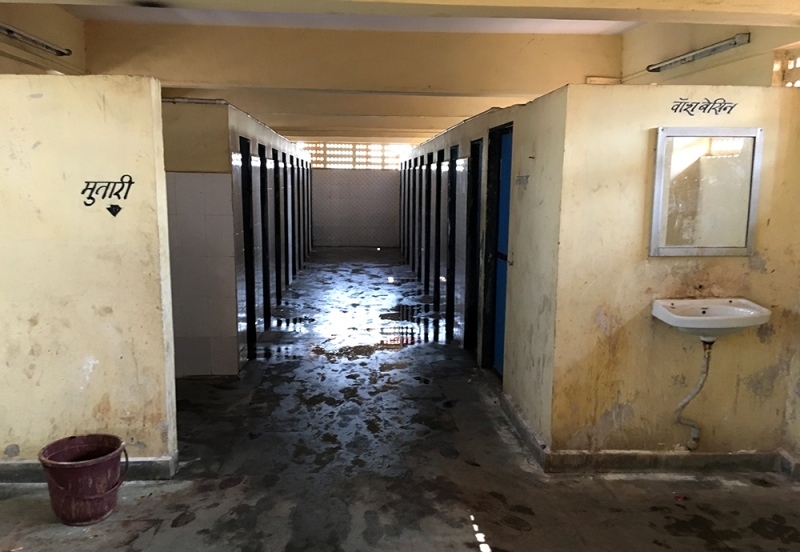 For instance, toilet blocks are constructed by non-governmental organisations, and also with the help of donations from area development funds of a corporator or MLA or MP. When well-regarded non-governmental organisations build such toilet blocks, the situation is relatively better. But when local politicians fund such toilets, a coterie of contractors usually takes up the construction and management of these community toilets. These contractors have no accountability, and repeated complaints about sinking floors and overfull septic tanks go unheeded, as happened with the Indira Nagar toilet that caved in. Regular water supply is also a perennial election promise. The covert business in water is not a secret. But neither the Brihanmumbai Municipal Corporation nor the local police do anything about it, and slum residents pretend to not know about it, or do not report it for fear of reprisals. The local police is aware of how the illegal networks work. There are eight to 10 gangs which operate, said a police official. He added that the police takes action but courts let them off. However, slum residents allege that the cops are often in connivance with the local strongmen, or shield them. But in M-East, basic human rights such as water and sanitation facilities carry a steep price tag, often death. No election changes that. With additional inputs by Suryasarathi Bhattacharya and Jovita Aranha. This is the second part of a series on the poorest part of India’s wealthiest city. The first can be read here.